Lawrence A. Coz 91 years of age, passed away Thursday March 29, 2018 at UH-Portage Medical Center in Ravenna, Ohio. 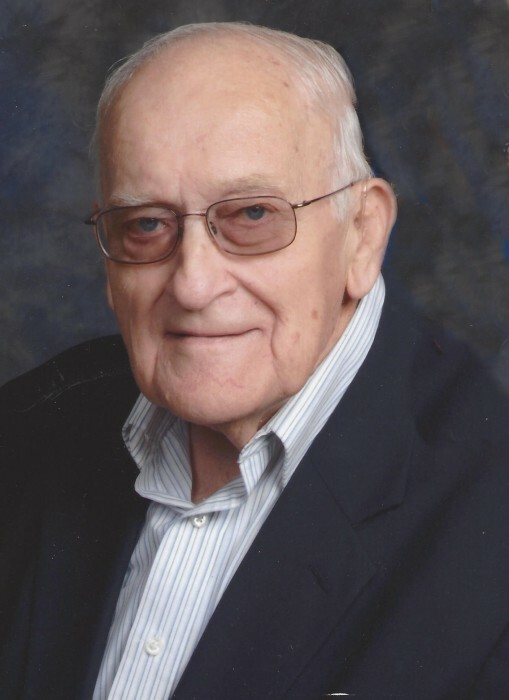 Born in Newton Falls, Ohio on July 20, 1926, he was the son of the late Frank and Frances (O’Korn) Coz, Sr. A resident of the Garrettsville-Windham areas since 1948, he was a graduate of Windham High School. Mr. Coz had been employed at Sprint Telephone Company for 20 years until his retirement. He also was a farmer for most of his life, working the family farm. Mr. Coz was a member of St. Ambrose Catholic Church in Garrettsville. He had served in the Ohio National Guard. Traveling with his wife, gardening, and being outdoors were the memories that his family will always have of Mr. Coz. On September 4, 1948, he married his beloved wife Ruth E. (Bobner) Coz who survives at their home. Also surviving are his devoted children Dennis (Lilly) Coz of Parkman, Gary (Chris) Coz of Uniontown, Ohio and Laura (Oscar) Chaves of Grafton, Ohio; his dear siblings Frank Coz, Jr. of Boston, Massachutes, Sister Mary Ann Coz of Canfield, Ohio, Helen Luppino of Medina, Ohio and Toni (Lawrence) Evers of Garrettsville; 5 loving grandchildren and 3 great-grandchildren. He was preceded in death by his siblings John Coz, Frances Buchmann and Agnes Brookover. Mass of Christian Burial will be Tuesday April 3, 2018 11:00 A.M. at St Ambrose Catholic Church, 10692 Freedom Street, Garrettsville, Ohio 44231, where visitation will be held from 9:30 A.M.-10:45 A.M. Final resting place will then follow at Park Cemetery, Garrettsville. In lieu of flowers, memorial donations are suggested to St Ambrose Parish. Arrangements are by the Green Family Funeral Home & Crematory Service in Mantua where his obituary, condolences and memories may be viewed at www.greenfamilyfuneralhome.com.